Data center disaster recovery can be considered a success if your organization manages to easily recover and rapidly resume operations without causing major disruption to your business. Creating a comprehensive data center disaster recovery plan can help you mitigate potential risks and threats, prepare for possible disasters, and minimize their impact on business performance and productivity. Unlike other disaster recovery plans, the data center disaster recovery plan focuses solely on how to recover your data center facility and restore critical data and IT infrastructure to normal operating mode after a disaster. Today’s blog post intends to answer the following question: how does virtualization help with disaster recovery within a data center? Moreover, you will learn about Site Recovery functionality as well as what data center disaster recovery best practices it can provide you with. 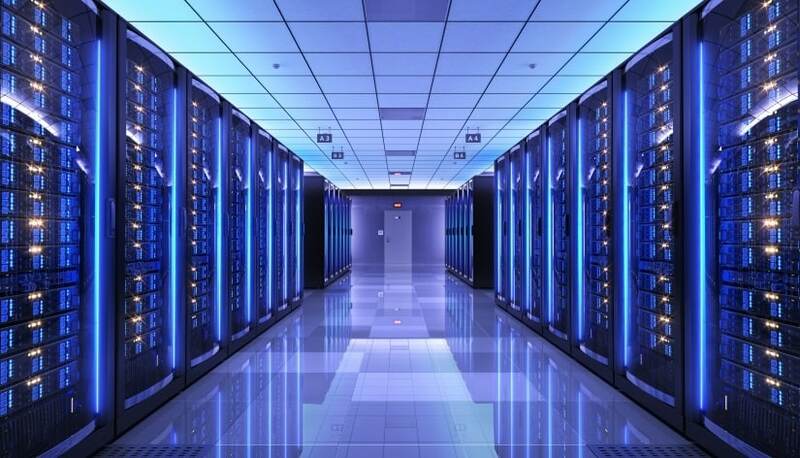 A data center is a physical facility used for housing computer systems and infrastructure components, conducting business operations, and storing critical data and applications. Data center infrastructure generally includes routers, switches, security devices, storage systems, servers, application delivery controller, etc. Each of these components needs to be securely protected in order to ensure the high availability of data centers and continuous performance of critical operations. Why Do You Need Data Center Disaster Recovery? In order to stay competitive in their respective markets, organizations need to provide on-demand services to their customers and minimize the risk of data loss. This explains the increase in demand for virtualization technology because business owners are interested in simplifying data center management, optimizing resource utilization, cutting costs, and ensuring on-demand scalability and flexibility. As a result, data center facilities have dramatically transformed in the last decade. Traditional on-premises data centers have in many cases been replaced with large-scale virtual environments. However, data centers are still extremely fragile and can be exposed to various dangers and threats such as security breach, data theft, ransomware attacks, viruses and worms, etc. Modern data centers are constantly evolving and their capabilities are growing exponentially. The same goes for attacks on these centers, as they become ever more sophisticated and hard to predict and avoid. Thus, it is critical that you prepare for potential disasters in advance and stay aware of their possible consequences. 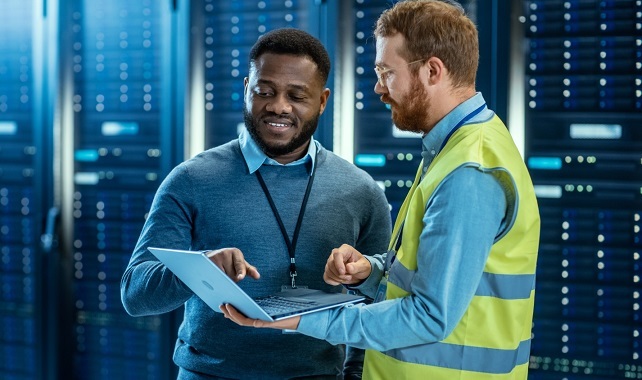 In order to ensure reliable data protection and efficient system recovery, a responsible business owner needs to consider which data center disaster recovery strategies work best for their particular data center facility. On the basis of the chosen DR strategies, you can create a comprehensive data center disaster recovery plan which can guide you through the entire DR process. As mentioned above, traditional on-premises data centers are now being replaced with virtualization platforms on mass scale. The main reason for this is the multiple benefits that virtualization can provide you with, no matter the size of the organization or amount of expected workload. Let’s discuss how virtualization can help with data center disaster recovery in detail below. Traditional data centers are highly dependent on physical servers, with each being dedicated to conducting a specific operation or running a single application. Due to this, most hardware resources are left unused and wasted. With virtualization, you can abstract away the underlying physical hardware and replace it with virtual hardware. Thus, you can consolidate multiple virtual machines (VMs) on top of a single physical server and effectively share computing resources among those VMs. Traditional data centers house computer systems which run on a variety of models of servers, which may lead to hardware compatibility issues during data center disaster recovery. In such case, you need to install similar hardware on both the production center and DR site to prevent disaster recovery from failing. However, building a DR site with hardware equipment similar to that used in the primary site can be a costly option. With virtualization, on the other hand, a VM can be easily recovered to any hardware. Physical hardware does not have to be compatible on both sites to efficiently perform data center disaster recovery. All you need is a remote location with a few physical servers which are properly set up and ready to take on the production workload, should there be any need. Virtualization makes it easier to protect your critical data and applications by creating VM backups and replicas and storing them at a remote location. Virtualization also allows you to easily move VMs from one server to another, without affecting your VM performance or data integrity. As a result, if a disaster affects your data center, you can rapidly move the production workload to a DR site and resume your operations there. Currently, the virtualization market provides many different backup and recovery solutions which allow you to schedule backup and replication jobs, conduct failover and failback testing, and completely automate the DR process. Even once you have built a DR site and designed a comprehensive DR plan, there is still a high risk of failing at data center disaster recovery. Thus, you need to conduct DR plan testing in order to verify that the data center disaster recovery plan is functional, identify any issues and inconsistencies in your DR plan, and later update it accordingly. Third-party data protection solutions allow for testing DR strategies even during working hours without affecting your production environment. With virtualization, organizations can reduce the expenses of purchasing and maintaining physical hardware in data centers. Due to the efficient use of available physical resources, you can build a DR site which requires less equipment, takes up less physical space, and is easy to maintain. Moreover, virtualization can considerably reduce the data center footprint, meaning that to support DR activities, you now need a smaller number of physical servers, less networking hardware, and fewer server racks. Essentially, the smaller your data center footprint, the higher your ability to successfully recover will be during data center disaster recovery. If a disaster strikes a traditional on-premises data center, it generally takes weeks or even months, depending on the exact nature of the damage caused, to resume operations and restore the production center to its original state. In contrast, the time spent on recovery of a virtualized data center is significantly shorter because you can easily back up critical data and applications, store them in a remote location, and rapidly fail over to a DR site, should disaster strike. Many data protection solutions can even enable you to automate the DR process from start to finish, thus reducing downtime and minimizing its impact on your productivity. Creating a data center disaster recovery plan is extremely important as it may affect the outcome of your disaster recovery. In order to design a comprehensive data center disaster recovery plan, you first need to conduct operational risk assessment and business impact analysis. As a result, you will be able to identify the risks that your data center is most exposed to, measure their possible impact on your productivity, and evaluate the preparedness of your infrastructure for data center disaster recovery. Thanks to this plan, you can determine which recovery objectives are most appropriate for your business, which DR strategies work best for a specific DR scenario, and which data and applications should be considered most critical for your virtual environment and, thus, be recovered first. Keep in mind that a data center disaster recovery plan doesn’t simply provide you with guidelines on how to respond to a disaster. A comprehensive data center disaster recovery plan should include the measures and procedures required for preventing a DR event from occurring, detecting potential threats and risks, and mitigating vulnerabilities of your data center. In order to present such control measures, you need to periodically test your data center disaster recovery plan and check the preparedness of your data center facility for an actual DR event. This way, you will be able to identify inconsistencies in your plan and improve the DR preparedness of your data center and IT infrastructure. Due to the growing demand for data center services, it’s no wonder that some organizations decide to choose third-party vendors for backing up their data center facilities and performing DR activities during an actual disaster. Previously, data center disaster recovery was only in the budget of a few large enterprises because it is a challenging task which requires a substantial amount of investment and resources. However, the growth of virtualization technology has made disaster recovery affordable to organizations of any size and budget. With multiple data protection options, a rich feature set, and affordable pricing, NAKIVO Backup & Replication has become one of the most competitive players in the market. NAKIVO Backup & Replication allows you to protect VMware, Hyper-V, and AWS EC2 environments using the following data protection options: backup, backup copy, backup to cloud, and replication. Each of them is used for specific purposes and can radically transform your approach to data protection management. With regard to data center disaster recovery, the built-in Site Recovery functionality is definitely worthy of your attention. You can create multiple site recovery workflows by combining various actions and conditions (start or stop VMs/instances; failover or failback VMs/instances; run, stop, enable, or disable jobs; send notifications, etc.) into an automated algorithm, which can be run as soon as disaster hits your data center. Site recovery workflows can be of any level of complexity depending on your current needs and DR expectations. With the help of the workflows, you can automate and orchestrate the entire DR process, perform non-disruptive testing of DR workflows, run emergency or planned failover and failback, and simplify data center migration. Creating a workflow is a simple five-step process which can be configured even without any technical expertise. This functionality is built into NAKIVO Backup & Replication and doesn’t require any additional licensing. Thus, you can receive a full-fledged DR solution capable of protecting and recovering your data center facility for a fraction of the price of the competition. To find out more about this feature, read our series of blog posts on Site Recovery in NAKIVO Backup & Replication. Alternatively, you can download a full-featured free trial and test the product in your VMware, Hyper-V, AWS EC2, or mixed environment today.